I’m terrible at goal setting. I always say I’m gonna do this or I’m gonna do that. But I never write them down. A couple of weeks ago, I finally did – all because of a knitting podcast. I was listening to the ‘Gives Good Knit‘ podcast, hosted by Tikabelle – and she mentioned ’101 Things in 1001 Days’ – about how she did on her previous list of goals and what she wanted to achieve on the next go round. That got me thinking about all the things I say I want to do. So I did a little research and found Day Zero – Home of the 101 in 1001 days project. After perusing the site and looking at several people’s lists, I decided to make my own. My start date was on Sunday. I probably won’t share me whole list here, but I’m sure you can guess that some of those goals involve knitting and/or spinning. I’ve already started one of them. 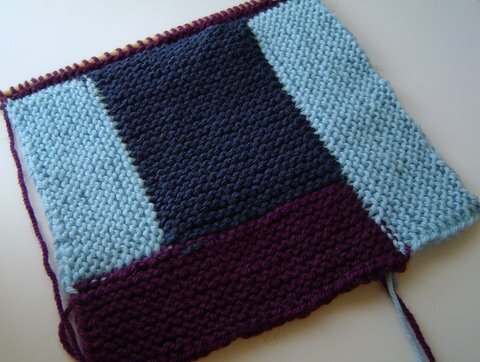 Since I started knitting, large projects have always intimidated me. I never felt I had the attention span to finish what I start. I was afraid to even try. But as I’m about to start my 4th year as a knitter, I realize I’ve learned a lot in these past three years. I guess it’s time to put all that learnin’ to good use. Here’s a peek at my Scrappy Log Cabin Blanket as it looked on Sunday, November 1st. It’s such a comforting knit.